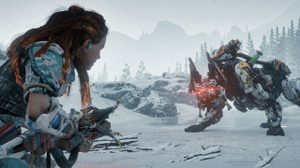 Horizon Zero Dawn Actress Says Sequel Is in Development - WebGamer.NET | The Website for Gamer. “Just wait until you see the sequel." Janina Gavankar, who voiced Tatai in The Frozen Wilds DLC, may have spilled the beans on a potential sequel to Horizon Zero Dawn.